In a culture that celebrates individual achievement and encourages self-esteem, we have forgotten the value of humility. Feeling small in the presence of something much larger than oneself—the emotion of awe—is a powerful sensation that benefits individuals and societies, promoting happiness and group cohesion. Science journalist David Baron shares some of his most awe-inspiring experiences—plunging into the darkness of a total eclipse, basking in the glow of the northern lights—and reveals how they have changed his outlook. Through his personal journey and his exploration of recent psychological research, he has come to recommend that we all seek more natural wonder in our technology-mediated lives. What spurs individuals—and societies—to strive for scientific greatness? Author David Baron explores this question through the tale of an epic event that inspired America’s rise as a scientific superpower in the late nineteenth century. In the decade after the Civil War, at a time when Europe dominated the world in science, a total solar eclipse darkened America’s western frontier and injected patriotic fervor into the study of astronomy. Based on original research for his acclaimed book American Eclipse, Baron draws lessons from the celestial event and focuses on three tenacious and brilliant scientists who ventured to the West to observe the hidden sun: planet hunter James Craig Watson, astronomer Maria Mitchell, and inventor Thomas Edison. Through their stories, Baron examines the different motivations and skills that can drive scientific achievement. David Baron is a journalist, author, and broadcaster who has spent his thirty-year career largely in public radio. 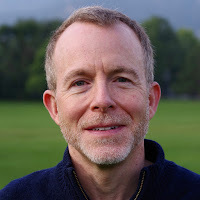 He has worked as a science correspondent for NPR and Boston’s WBUR, and as health and science editor for the PRI/BBC program The World. In the course of his reporting, David has visited every continent and earned some of the top honors in journalism. These include the Lowell Thomas Award from the Overseas Press Club of America, the Alfred I. duPont Award from Columbia University, the National Academies Communications Award, and, on three occasions, the annual journalism prize from the American Association for the Advancement of Science. David’s written work has appeared in The New York Times, Los Angeles Times, Boston Globe, Outside, Lonely Planet, and Reader’s Digest. 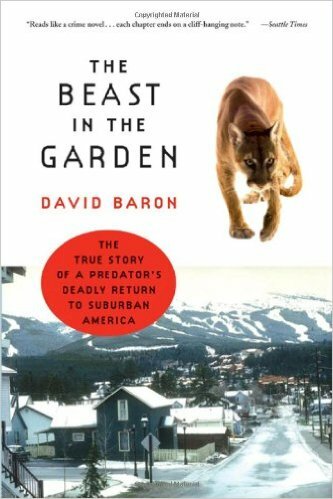 His 2003 book, The Beast in the Garden, received the Colorado Book Award. David’s book, American Eclipse (2017), arose from his own eccentric passion. An avid eclipse chaser, David has crossed the Americas, Europe, Asia, and Australia to stand in the moon’s shadow and witness nature’s grandest spectacle: a total eclipse of the sun.